Oh boy, here goes another collective haul! I really just can't stay away from purchasing makeup. I find myself drawn to Rite Aid and purchasing at least one makeup product every week and I find that most beauty bloggers and makeup junkies are the same too. Raise your hands up ladies if you agree to this. :) I try to justify and rationalize each buy but most of it are "Wow, that's nice I just have to get it" items. I finally got my hand on one of the L'oreal Infallible Shadows and I have it in the shade Endless Pearl which I got from one of my weekly drugstore walks. On one weekend, I went with my mom and niece to the mall and I went inside Forever21 and even though I frequently buy something out from the store, this time I didn't I was eyeing a few jewelry pieces and clothes but nothing really stood out at that time and I ended up getting nothing. When I went inside Charlotte Russe there was a lot of things I wanted right away especially the skirts but I ended up not getting them since I know the prices will drop in a few more weeks if I wait. I, however, found myself drawn to these pieces which were all last of their kind. I'm so attracted to tribal-esque colorful patterns and got this lovely gold bracelet. 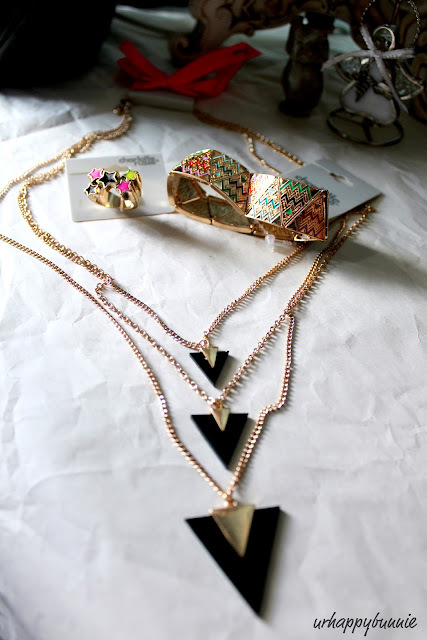 I also got this pretty black and gold triangle layered necklace and this colorful stars ring. Since my last buy at Cherry Culture I've been wanting to get more NYX products and I was already nearly checkout at Cherry Culture when I remembered to check on the Ulta website first. Good thing I did since they have a 20% of promo code that ends that day when I ordered it. I got one of the NYX Rouge Cream Blush in Glow. I also ordered a NYX Slide On Pencil in Glitzy Gold. Since I'm already on the Ulta website I decided to pick up more of the L'oreal Infallible Shadows - Amber Rush and Taupe. And taking advantage of the 20% off I also added to my cart the Remington Ceramic Pearl Curling Wand. I was not done yet with Cherry Culture since they were having sale on select items. I removed the two NYX items I got at Ulta from my cart and added a few more to my shopping basket in order to reach the free shipping quota. I got NYX Rouge Cream Blush in Natural, NYX Slide On Pencils in Esmeralda and Golden Bronze, NYX Single Eyeshadow in Greyish Brown, NYX Black Label Lipstick in Brick, five of the NYX Ultra Pearl Mania pigments - yellow gold, purple, lilac, space pearl and turquoise; lastly, a LA Girl Pro Concealer in Creamy Beige (which is a shade lighter for me but I think works really well as an under eye concealer). I have succeeded in not buying anything from the drugstore for only a week. On the following weeks I got a couple of items that I couldn't resist buying. 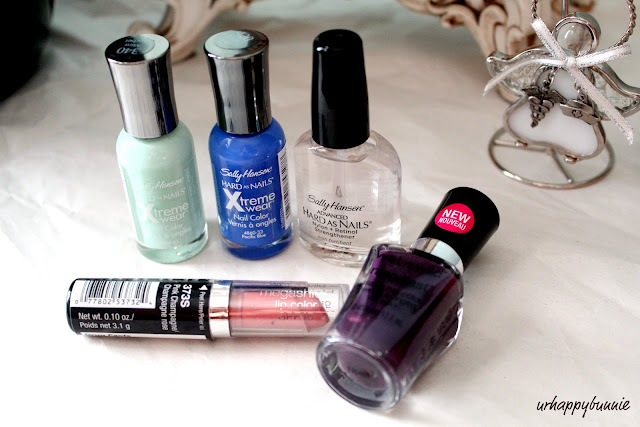 I bought two Sally Hansen Xtreme Wear nail varnishes in Pacific Blue and Mint Sorbet and Sally Hansen Hard as Nails nail strengthener. I finally found Wet n Wild's spring collection display but the sad part was it was wiped clean except for two items which I immediately grabbed: Megalast Salon Nail Color in Disturbia and Megashine Lip Color in Pink Champagne. I like all the nail polish. that curling wand is AWESOME btw... I've been eye-ing the new and bigger version of it ! I'm interested in the pigments would love to see swatches/looks! 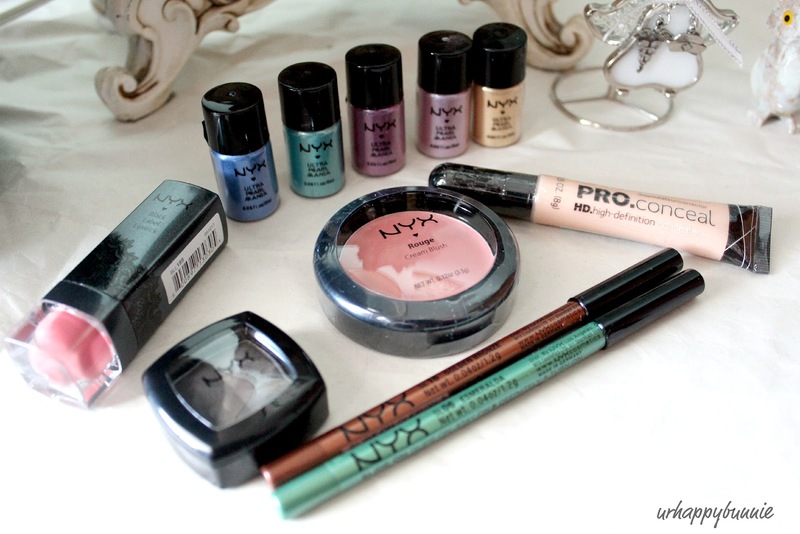 Those NYX pigments look great, you should post swatches! You should do a "how to use" post for the curling wand, I got one and just cannot get it to work right! I love makeup hauls. Love seeing what other bloggers find. How do you like the curling iron? Mine broke so shopping for a new one, please review if u have the chance. 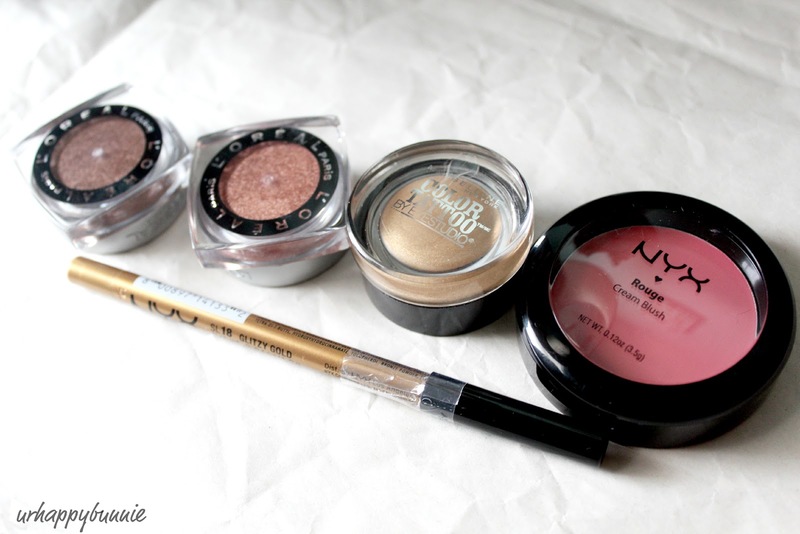 Oh so much new makeup to try, I really like the arrowhead necklace a lot! Uuuuuu! Pretty stuff! Enjoy them! Nice haul! Can't wait for your Remington curling wand review. Thanks again for your sweet comment & following my blog. 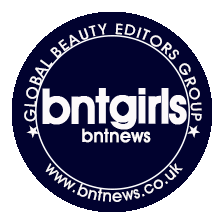 I'm now following your lovely blog. Awesome haul!! 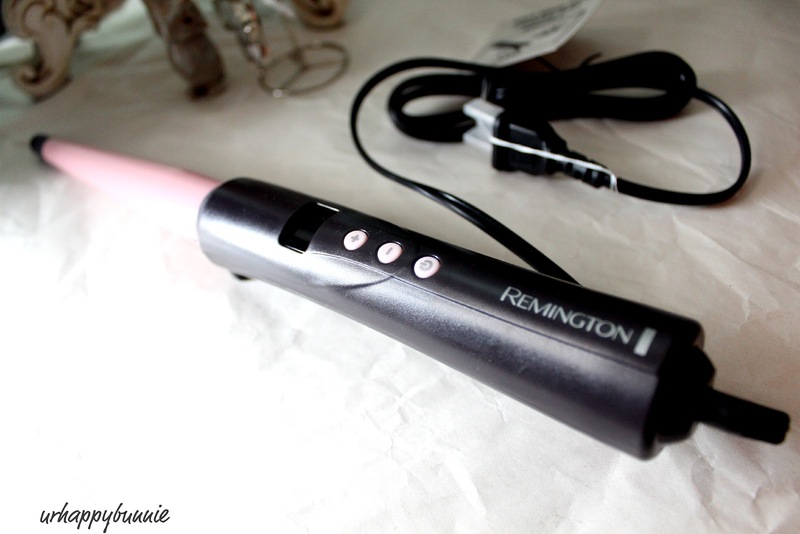 I really want to try the Remington curling wand! But when I went to check for it at Target they were sold out. Also I love that necklace you got!!! Very cool looking! I love the L'Oreal Infallible shadows! They're such an amazing quality for the price!